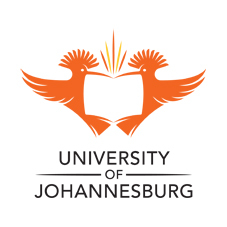 UJ Accounting student wins big at Student Leadership Summit University of Johannesburg (UJ) Accounting student, Nthabiseng Mutloane, was declared the winner of the essay contest at the Student Leadership Summit, which was held in Sandton on 2 and 3 August 2013. Mutloane, originally from Rustenburg, attended Laudium Secondary School in Pretoria but now lives in Naledi, Soweto. She has hopes of one day becoming a chartered accountant, which is why she decided to study BCom Accounting at UJ. The 23-year-old’s creative essay, where she argued how the advertising piece from FNB cleverly gave the youth of our country a voice, won her the first prize at the summit. “In the next few years I hope to obtain my CA (SA) designation and a masters and/or PhD in taxation. I would also like to start my own business which will be aimed at improving the level of primary education in South Africa, and eventually the rest of Africa,” says Mutloane. The essay competition, which is run by South African Institute of Charted Accountants (SAICA), offered the top 30 entrants the opportunity to network with South Africa’s top business leaders.